Moving all that furniture, appliances, and belongings that have been boxed up from your home can seem like an insurmountable task when you don’t have a large truck or van to load everything inside. Instead, you have a small car or mid-sized SUV. So what are you going to do with all of your stuff? It’s too much for your vehicle since you’ll never get the big pieces of furniture inside that little car. If you’re facing this conundrum and you can’t afford to hire a professional moving company, you are not out of choices just yet. There is one more option that you can put into motion. You can hire a truck to move your house that you can load and unload yourself (with the help of a few friends, of course). There are a number of reasons why hiring a truck makes sense and we’ll discuss them here. Cost – The cost can be the amount of money you’ll spend using your own gas as you try to fit everything you own into your car and other cars you’ve pulled into the move from friends willing to help you move. It can also be the cost of hiring a professional moving service that can cost you several hundred in just getting you from one side of town to the other. These costs can be quite pricey when you consider the favours you’ll owe your friends for borrowing their vehicles, including money for the gas they used, and you can just imagine with a professional moving company how exorbitant that fee will be. There is another option in this that you might consider and that’s a truck rental. Whether you live in Auckland, Hamilton, Wellington, or Christchurch, you can find a truck hire to rent one that will fit your needs at a fraction of the cost of your other two options. Time – Your time is precious and you don’t want to spend days trying to move a two-bedroom home into another one. When you are ready to move on moving day, you want it done that day so you can relax and start unpacking at your leisure. When you are relying on friends or a moving company, you are forced to wait upon them to show up, get everything packed up, and hope that everything comes with them as they make their way to our new home. When you are moving house from one place to another, you don’t want to be at anyone’s mercy and having a truck rental can all make the difference for you and your time. You can find your furniture removal from your old home to the truck and from the truck to your new home is an easy one with a truck rental since you’ll have the option of a tail-lift, saving you precious minutes as you load everything onto one truck and make your way to your new home. 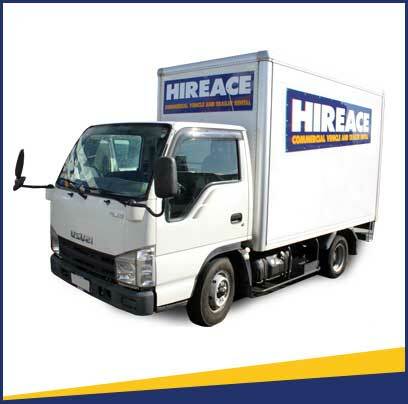 Hassle-free – With a truck hire that you load and unload yourself, you’ve got the advantage of a hassle-free experience. You don’t have to worry about professionals, or so-called professionals, packing your belongings the way you wouldn’t want them packed. You get to do this yourself so you can ensure nothing gets broken in the move. You also don’t have to worry about friends or professional movers showing up late or slacking off while you’re trying to get everything loaded and gone within the same day or even within a few hours. With a truck rental, you don’t have to worry about anyone or anything other than yourself and a few friends helping you with your belongings. Whether you’re in Auckland, Hamilton, Wellington, and Christchurch, you’ll find that there a number of reasons why you should hire a truck when you’re moving house. With a rental truck, you’ll save time, save costs, and have a hassle-free experience compared to other options in home moving. Don’t let one of the biggest days of your life be marred by someone or something by entrusting your belongings by using a service that doesn’t care about your it or your time as you attempt to move from one side of town to another. If you want peace of mind and know your belongings are safe, then you’ll want to consider hiring a moving truck for your next move.